Learning Skills Partnership apprentices across the construction, insurance and motoring sectors had a prizewinning end to National Apprenticeship Week 2015. The East Yorkshire-based training provider marked the five-day celebration of vocational learning for its apprentices around the country with a competition for an iPad as first prize and runners up vouchers. “I believe it has opened a door to endless opportunities in my working life,” said Jaden, who is doing LSP’s groundbreaking site engineer apprenticeship programme. Simon Alsop, director Learning Skills Partnership, said: “We wanted to mark National Apprenticeship Week with something to recognise the time, effort, skill and dedication of our apprentices. 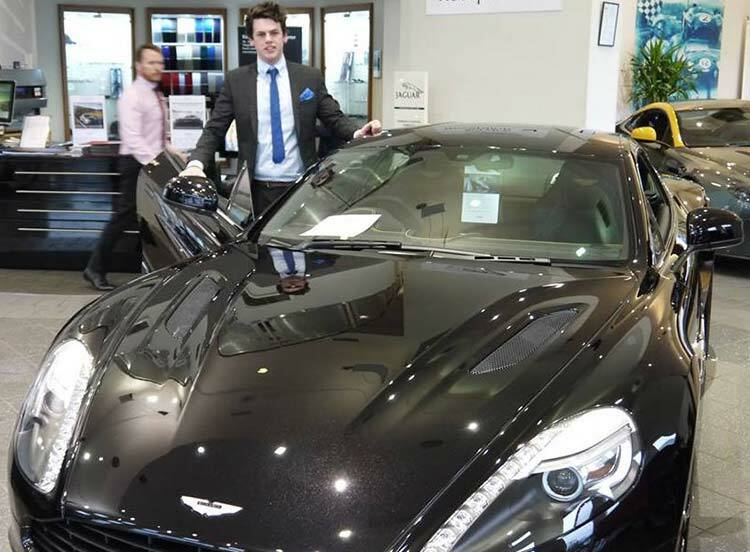 Jake Bayliss, an eighteen-year-old from Exeter training with Cambria Automobiles, is one of the four runners up to each receive a £50 gift voucher. He was equally enthusiastic about his apprenticeship in the motor industry. “I would highly recommend an apprenticeship to anyone – sending off my application was the best decision I have ever made. The other runners up were: Jack Robinson, 17, an apprentice with Carillion in Barnsley; George Beeney, 23, with Europcar in Portsmouth, and Ashley Halliday, 18, who is training with JCT600 in Bradford. National Apprenticeship Week is a Government supported celebration of apprenticeships and the positive impact they have on individuals, businesses and the wider economy. It ran from March 9 to March 13. Learning Skills Partnership, which was established in 2010, is based at Hessle, near Hull, and offers apprenticeships around the UK. It has clients in a variety of sectors, including motoring with JCT600, Europcar, Pentagon, Vertu Motors plc, Inchcape and Stoneacre; construction with Carillion, HOCHTIEF (UK) Construction and Morgan Sindall, and insurance with Henderson Insurance Brokers.